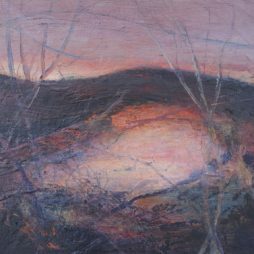 Susan has been a full time artist since graduating from Edinburgh College of Art in 1991. For many years Susan drew inspiration from her farming background and being surrounded by animals and birds. However more recently she has been concentrating her studies on landscapes and buildings. 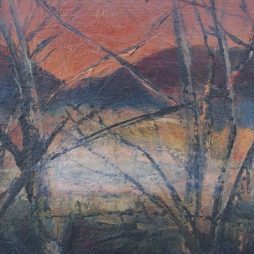 Since studying Tapestry at Edinburgh College of Art 27 years ago, Susan continues to expand her technique by combining the use of textiles, print, drawing, watercolour and oil. Susan loves to explore in new directions and has gone back to study part time at Leith School of Art. 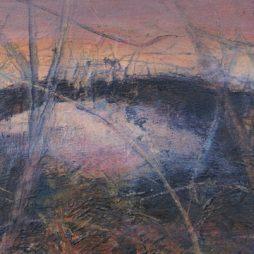 Her recent work has brought together old and new skills in Landscape Painting. 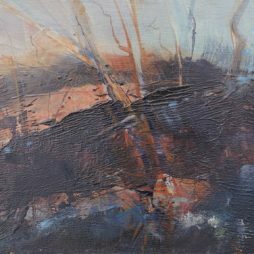 She has tried to captivate the feeling and mood of Spoon Wood, which looks down onto her home town of Peebles.